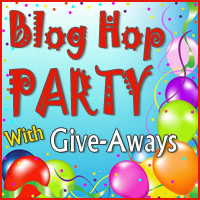 It's time to announce the winner of the Blog Hop Winner! I have sent an email to you, so be on the lookout! 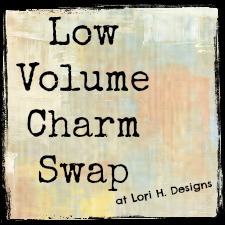 Before I announce what the giveaway is, I wanted to let you all know about the Low Volume Charm Swap that I am hosting. Sign-ups just started yesterday and we need 28 swappers. For those of you who are new to charm swaps, here's how I am going to work this one. You must buy THREE DIFFERENT yards of fabric. You will then cut each different yard into 5" charms, sort them and ship to me. You must be on Flickr (you don't have to be super active, just have an account) and agree to participate in the swap group, which you can find here. The flickr group will be where you post pictures of what you are purchasing in order to avoid duplicates. Please purchase quilt shop quality fabric only. You will send me 3 sets of 56 charms and receive an assortment of different charms back. UPDATE: The swap is full!! 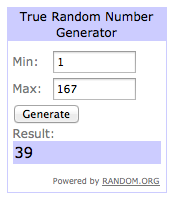 Okay, now on to the giveaway! This giveaway is sponsored by Aurifil! We will be giving away a thread pack and a wool thread color card. If you haven't used Aurifil thread, you are missing out! I highly suggest it! All you have to do to enter is leave a comment about your favorite holiday tradition. Normally, I try and respond to comments but since there will be so many, I might not be able to respond to everyone. I really appreciate you all stopping by today and I would love if you come back and visit! This giveaway is open to everyone. This giveaway will close on December 15th at 9pm CST. And a winner will be announced on December 16th. Make sure you go check out all of the other giveaway's here. Low Volume Charm Swap Sign-ups Begin Today! For those of you who are new to charm swaps, here's kind of how I am going to work this one. You must buy THREE DIFFERENT yards of fabric. You will then cut each different yard into 5" charms, sort them and ship to me. You must be on Flickr (you don't have to be super active, just have an account) and agree to participate in the swap group, which you can find here. The flickr group will be where you post pictures of what you are purchasing in order to avoid duplicates. Please purchase quilt shop quality fabric only. You will send me 3 sets of 56 charms and receive an assortment of different charms back. Check out this amazingness! Who doesn't love a perfect low volume project?! Since this is the first time I have organized a charm swap it will only be open to US residents. Hopefully the next swap I will be brave enough to open up to other countries. Sorry if that disappoints anyone. I will be accepting the first 28 swappers, if there are more interested they will go on a waiting list. If there is enough interest, I will extend it to 56 swappers. I really swoon over low volume prints! You can find even more information and the sign-up form here! And if you want to sign up for more than one slot you can (I sure plan on it)! Charm squares will need to be cut and shipped by Jan. 21st. So spread the word, the more the merrier! I missed out on Laura's Low Volume Charm Swap so I contacted her and she gave me the go ahead to run one of my own! Her idea was absolutely fantastic, and as a result, there were lots of people who didn't get in, so here's another chance. For those of you who are new to charm swaps, here's kind of how I am going to work this one. You must buy THREE DIFFERENT yards of fabric. You will then cut each different yard into 5" charms, sort them and ship to me. You must be on Flickr (you don't have to be super active, just have an account) and agree to participate in the swap group, which you can find here. The flickr group will be where you post pictures of what you are purchasing in order to avoid duplicates. 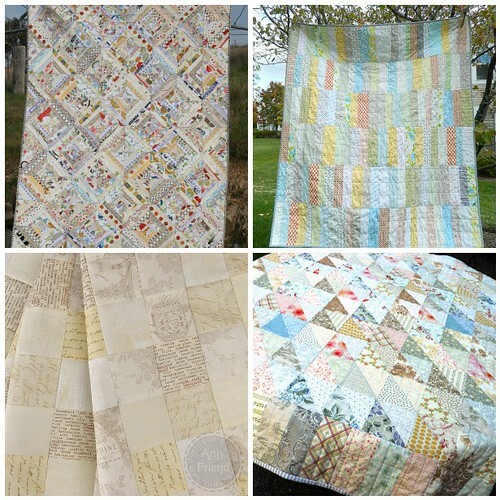 Please purchase quilt shop quality fabric only. You will send me 3 sets of 56 charms and receive an assortment of different charms back. Sign ups will begin December 8th! Charm squares will need to be cut and shipped by Jan. 21st. Spread the word so others can join in the fun too! The more the merrier! 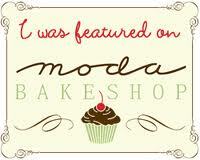 I've been featured on Moda Bakeshop! You can check out the recipe here! And I'm linking up with the 4th Quarter Finish-A-Long!